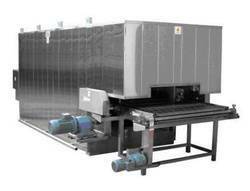 We offer With firm commitment to quality, manned by a team of sincere and skilled professionals we are today counted among one of the leading manufacturers and suppliers of a wide array of Oven Conveyor using standard quality raw materials supplied to us by our reliable vendors in the market. Our product-line is available in a variety of sizes, shapes and designs so that we can efficiently cater to the variegated requirements of our esteemed customers in affordable prices and with on time deliveries. 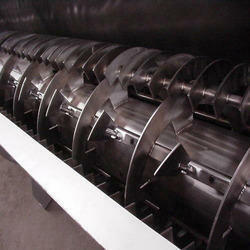 We design and fabricate a wide range of Screw Conveyors. Screw conveyors in modern industry are often used horizontally or at a slight incline as an efficient way to move semi-solid materials. These can have a greater pitch spacing, resulting in a higher capacity without an increase in rotation speed. They usually consist of a trough containing either a spiral coiled around a shaft, driven at one end and held at the other or a Shaft less Spiral, driven at one end and free at the other. We are an eminent organization that is engaged in manufacturing and supplying Roller Conveyor. Widely used in warehouses and industries, these conveyors are provided in several models and specifications at market leading prices. 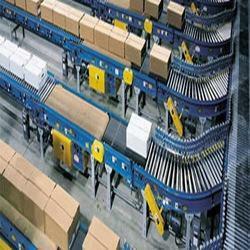 Furthermore, we provide tailor-made solution for all these conveyors to meet customers’ needs. 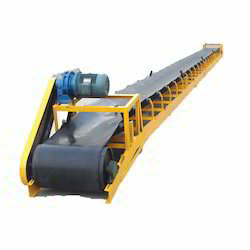 We are among the preeminent organizations, involved in manufacturing and supplying Belt Conveyor. 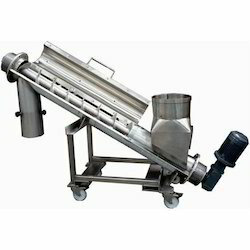 All these conveyors are widely demanded by food & beverage, chemical, packaging, FMCG, cosmetics and textile industries. Our offered conveyors are available in different models and can be customized as per clients’ given specifications. Leveraging on our vast infrastructure, we are capable of manufacturing and supplying Screw Conveyor. These conveyors are designed and manufactured using quality components and spare parts that are procured from the trusted sources of the market. 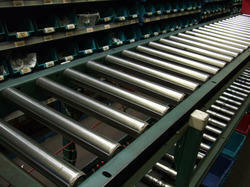 Moreover, we check all the conveyors on different parameters to ensure hassle-free performance. Ours is an illustrious organization that is engaged in manufacturing and supplying excellent quality Material Handling Conveyors. These are overhead equipment that are used for moving varying loads intermittently between points within an area. Our range is widely demanded in industries like cement manufacturing, steel, sugar mills, mining and construction. Moreover, these conveyors use less power and give a high output. We are one of the leading manufacturers and suppliers of optimum grade Screw Feeders. Our offered feeders are widely demanded by several industries like chemical, textile, rubber and food & beverage across the country. These feeders can also be customized as per the specifications laid down by clients.